The last lineup change was in November 2011. There have been many people in Black Sabbath over the 40+ years of the band’s history. Some folks think the band died in 1979 when Ozzy was fired. That’s too bad, because there’s a lot of music that’s extremely good in the intervening years of the band before Ozzy returned in the late 90’s. 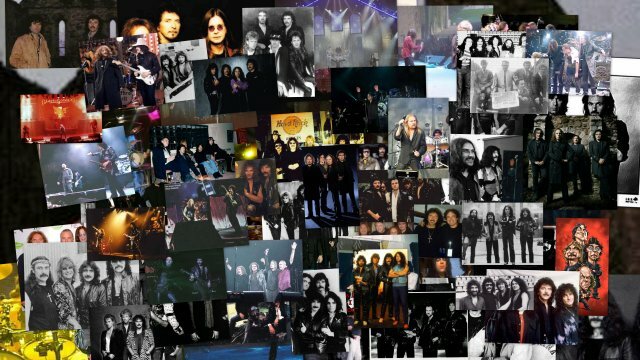 This section of the site details the various people who have been in the band. I have the people broken down into two main groupings, as listed below. One other thing. Most Black Sabbath sites only seem to mention the Ozzy Osbourne years, probably the Dio Years, and everything else, maybe a paragraph, if at all. Important though they are, they are not the only part of the band’s history. I cover all eras of the band’s history. No discrimination on band members here! If you want proof of that, check out my Timeline page. This page details all the changes in band lineups over the years, and there have been many! THIS PAGE IS EXTREMELY GRAPHICS INTENSIVE and may take some time to load on your browser, but it is well worth it, in my opinion. This is also my favourite page I’ve done on the web site. What Makes a Band Member? What makes a “band member” is always open to intrepretation. I know a few guys on my list wouldn’t make the cut with some other people. However, in my opinion, if you played on an entire album, or was with the band on tour, then you count. A single guest appearance on an album/track is just a guest appearance. One could argue the point that Rob Halford doesn’t qualify for member status, and should be lumped in with this group. However, he did play a handful of gigs on three different dates. He also made an appearance on Rockline with Black Sabbath on Nov 16, 1992, so I’m putting him in “member” status. Ice-T on the Forbidden album. Gordon Copley on the Seventh Star album. Brian May on the Headless Cross album. Shannon Larkin who played drums live just one time – Jul 1, 1997. Jorn Lande who sang live once on the Heaven & Hell Tribute Gig in 2010.